With the support of colleagues in her Forest for Every Classroom cohort and the Super Junior Rangers program, Beth Ann built her confidence by embracing her students’ curiosity and responding to their interests as they went along. She has found that knowing how to ask the right questions is more important than knowing all the answers. “I don’t feel I need to be the expert all the time. In fact, it’s better that I am not, so my students can follow through on their curiosity and seek answers to the things that are most interesting to them.” By wondering aloud, “Why would that be growing there? What clues do we see that an animal was here? How did that sand get here?” Beth Ann draws her students into answering big questions about biodiversity, Earth’s processes, and the interconnectedness of ecosystems. It all began with salamanders. Beth Ann was looking for a way to engage her first and second-grade students at the Reading School in a meaningful environmental stewardship project. 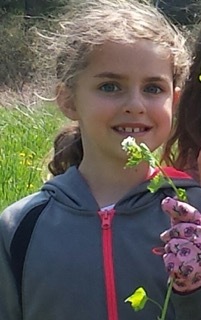 One day on the school ground, her class discovered salamanders crossing a forest trail. At their Super Junior Ranger program at Marsh Billings Rockefeller National Historic Park they’d learned that salamanders are an indicator of forest health. The class excitedly tied their learning at the Park to their school grounds with a building project that used tree cookies lined up as a salamander bridge. They wrote and drew environmental messages on the cookies to educate hikers about these special creatures. This experience ignited a spark for Beth Ann. She saw a level of engagement in her students that she hadn’t seen before. As a result, she signed up for a year-long professional development course called A Forest for Every Classroom (FFEC) offered through the National Park Service and Shelburne Farms. A Forest for Every Classroom is a professional development program for K-12 teachers of all disciplines. Educators learn how to “read” and teach in the landscapes of the Upper Valley, and explore how using place-based learning and education for sustainability make the Common Core State Standards and Next Generation Science Standards both more practical and meaningful. While at the summer FFEC institute, Beth Ann became intrigued with invasive species and decided to take on eradicating garlic mustard as her next stewardship project. The class used their study of this non-native plant to learn about NGSS standards pertaining to the needs of plants as well as the concept of biodiversity within an ecosystem. Students fulfilled their stewardship responsibilities not only by pulling the weeds themselves, but also by educating others about the problem through posters, a video, and a play; “Garlic Wars” (a parody of “Star Wars”), that they performed for all the other second graders in their supervisory union. They even made garlic mustard pesto that was served at the annual Trek to Taste event at the Marsh Billings Rockefeller National Historic Park. These experiences not only changed Beth Ann’s students, they also changed Beth Ann and how she will teach many more classes in the future. 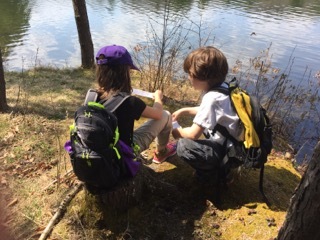 Field Notes is a monthly column highlighting the work of Upper Valley educators passionate about place-based environmental education. Do you have a story to share? Email us and let us know.